The 12South area of Nashville wasn't always the trendy, fasionable food and shopping mecca that locals adore, but it is now! Spend a few hours with us here and you'll experience a local flavor that includes stories of political intrigue, celebrity, urban vitality, and amazing food from artisan and boutique eating and drinking places. We'll stop by a couple of unique shops, stroll Sevier Park, and regale you with stories of this area's historic past as a plantation area, its present as a favorite local hangout, and its future as a dynamic part of Nashville's growth. 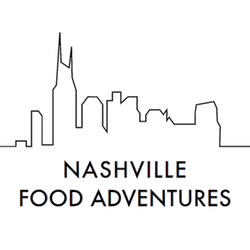 You'll taste unique local sweets, savory meats, and drinkable treats on this tour and you'll leave pleasantly full from the food and drink as well as the stories, sights, photo-ops, and experience of living like a local in beautiful 12South. You can book this tour as a private walking tour for up to 12 guests, or join one of our public tours, beginning in April, every Tuesday at 2pm. Don't miss this chance to live like a happy local!